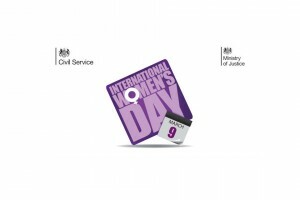 Last Monday I opened the Civil Service event to mark International Women’s Day, very kindly hosted by the Ministry of Justice. This was a great way to start my time as Gender Champion for the Civil Service. A fantastic group of speakers and events celebrated the achievements of women civil servants over the years. There is no doubt that we have made enormous progress in the last few decades. The days when the Fast Stream was only available to men, and women had to resign from the Civil Service when they got married, are long gone. International Women's Day is a catalyst for us to get together as women and discuss issues that matter to us. This has reminded me how powerful networks can be. I know that many departments already have women's networks and I want to make sure they are all thriving, and to “network the networks” across Whitehall. Do join yours if you haven't already done so. I shall also be using my role as gender champion to push for progress on all aspects of diversity. Issues such as flexible working are relevant to disabled staff, carers and fathers as well as to mothers. Culture and behaviours affect the progress of people from minority groups as well as women. I strongly believe that diversity is not just a nice-to-have – if we want to work effectively on behalf of the communities we serve, we must be representative of them. And there is no doubt that mono-cultures can develop if everyone comes from the same background. That’s not healthy for any organisation. 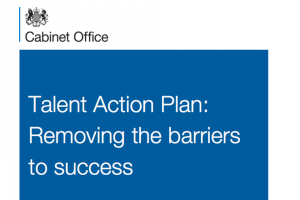 As Simon Fraser outlined in his recent blog, we will soon publish three further reports into the experiences of BAME, LGBT and disabled civil servants and the barriers to progression that they face. We talked about this at the weekly meeting of permanent secretaries this Wednesday – there is real commitment to push ourselves hard in our response. I look forward to meeting more civil servants across departments in my new role as Gender Champion. Last week was my first as permanent secretary at DCLG and with perfect timing my 11-year old daughter was ill with a classic winter virus. As I took the phone call from the school nurse I felt the familiar pang of guilt. It was a reminder that the challenges of being a working mother don’t get any easier when you get promoted. But as we ended the week back to normal, it was also a reminder that things don’t necessarily get any harder when you get promoted, either. It won’t always be easy. But it can be done. As a working father I find the last paragraph wholly disheartening. My attitude when that happens to me or any of my team, is go home deal with it if you can work from home great, if not if we really get stuck if you wouldn't mind answering a call that would also be great, if not there are thousands of others in the office who can can cover. Yes I accept it may seem unfair to those without children but I have never batted an eyelid about giving the same for a sick parent, an ill friend an so on. flexible working for all and a bit of understanding across the board should make the whole situation a lot better all round. But sadly it isn't a gender thing there are far too many people stuck on the when you do the work rather than how well. Parenting isn't a gender issue neither is caring or work life balance and I don't think it's helpful to make it one, maybe that is something to feel guilty about Melanie?